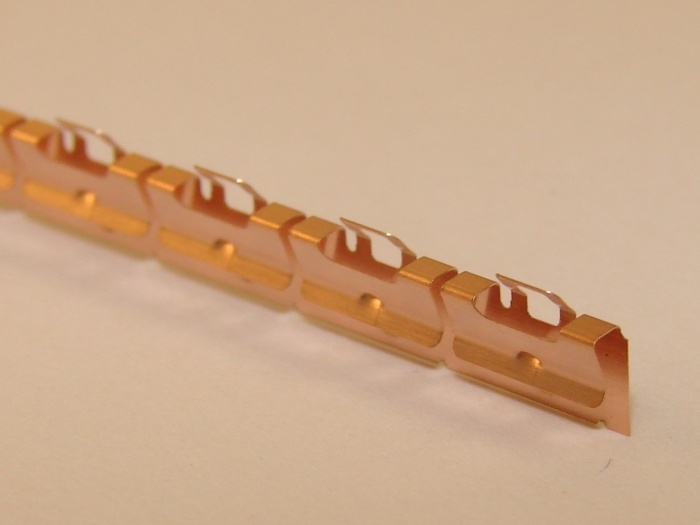 This miniature clip-on series of RFI EMI shielding products was designed to accept compression forces perpendicular to the mounting surface or in a shear direction running across the length of the strip from the base of the finger toward the finger tip. Length:12.0 IN. / 304.8 MM. Width:0.18 IN. / 4.6 MM. Offset:0.04 IN. / 1 MM.